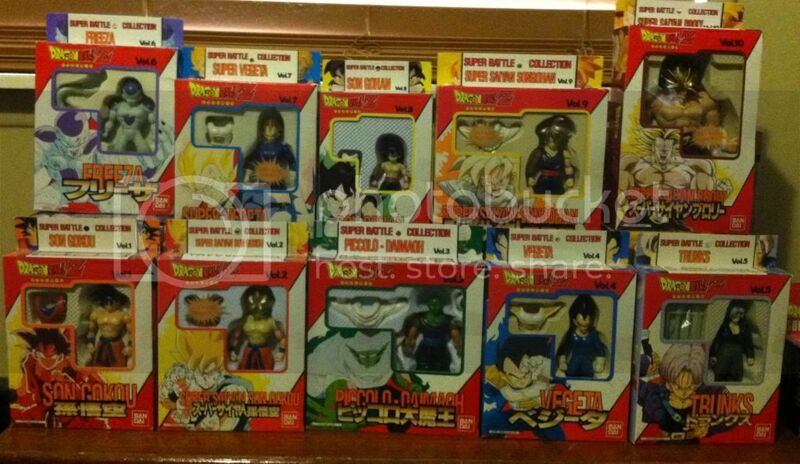 the bardock was repainted black as adam suggested, he looked much better. 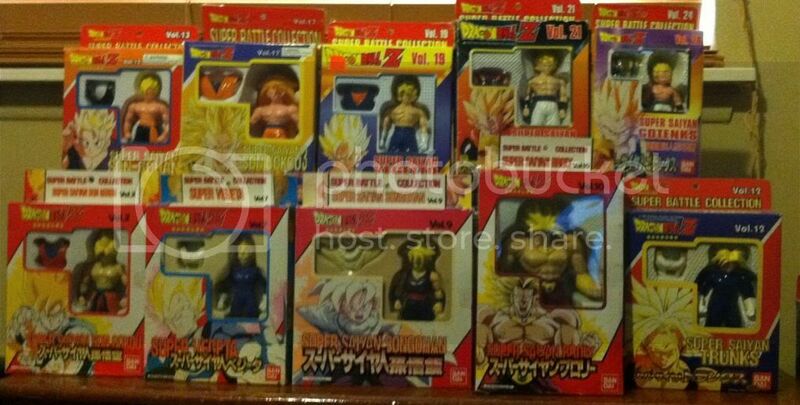 i made base saiyans for SBC gohan, irwin gohan, kai outfit base gohan, teen gohan base, SBC vegeta armor, irwin buu saga vegeta, Battle damaged majin vegeta, credit to adam for young kami and king piccolo, its an awesome idea. and lastly the krillin cell saga is from irwin krillin, i didnt wanna pay 10$ for the cell saga krillin so i just made him from an extra irwin i had. repainted his eyes (not a fan of the white eyes), painted in a shirt, and got his boots from burger king krillin. Man this is great Ascat. 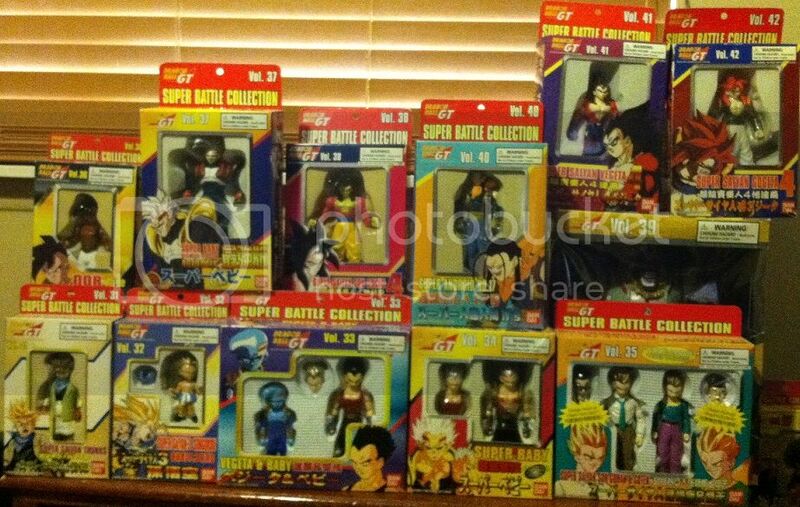 The SBC is one of my favorite lines ever, and definitely a major source of my DBZ nostalgia. I love seeing someone who loves them as much as I do! You obtained all of this in 10 months??? I've been collecting for a little over a year now, and my collection is like 1/4 the size of yours haha. You've got a really nice collection already, can't wait to see how much it grows in the future! lol yeah sure did, thanks boddah. i got some help with most of them. lol i kept buying the sbc's in lots so its a lot cheaper, then i just kept re-selling the copies i already have, which in turn gave me more money to buy more lots, hehehe. Awesome stuff! 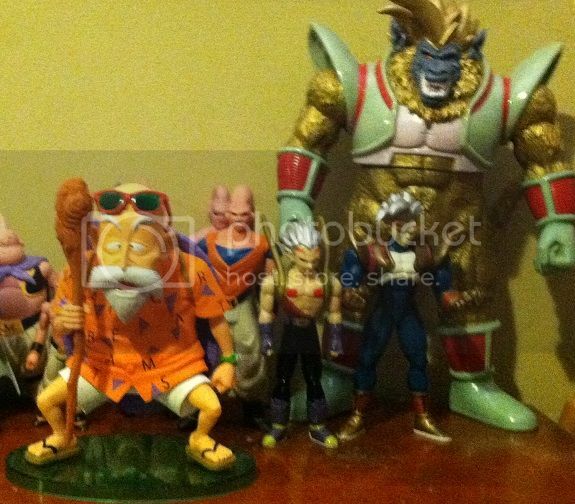 great SHF collection and that roshi is super cool! Aww man... Super duper jealous of that SBC collection. I'm glad you were able to get a 3-Pack after all. How much did you end up paying in the end, somewhere around the 700 dollar mark, perhaps? 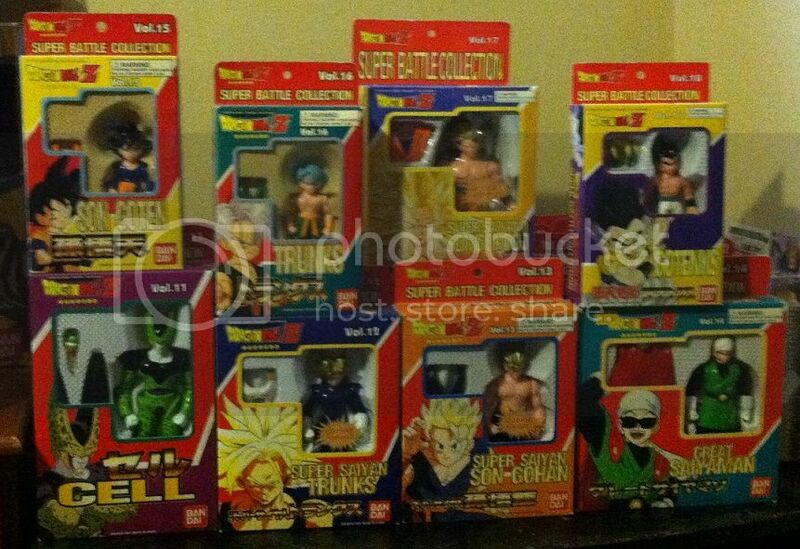 heheheh thanks kakarot, nope lets just say i got a great great deal on it. still expensive, but its a helluva deal. Dang Ascat that is totally awesome. Only 10 months collecting? You must have been buying like a wild man lol. 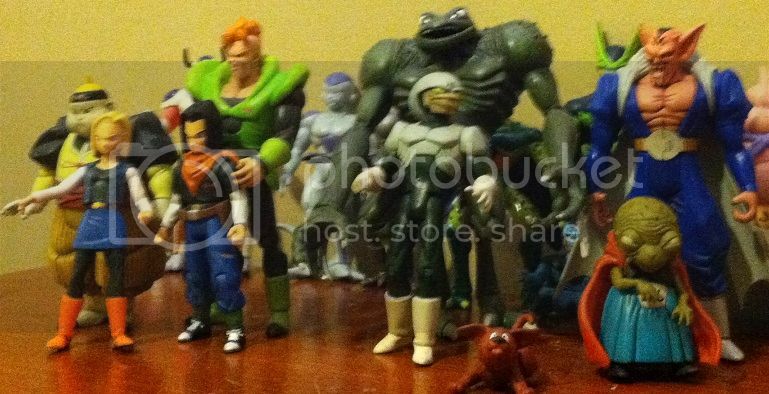 So cool that you have pretty much got all the SBC figures. lol actually believe it or not, i dont buy a lot. what i did was: 1) bought my first sbcs in lots, i started in craigslist, which is really cheap, way cheaper than ebay. i dont keep buying what im missing, i just wait and wait, and buy lots if its worth it and really cheap. 2) repeat same process, i dont buy in singles. 3) re-sell the extra copies i have (which is inevitable if you keep buying lots), which makes more room and money for new figs. 4) rinse and repeat until i get all the SBC's. 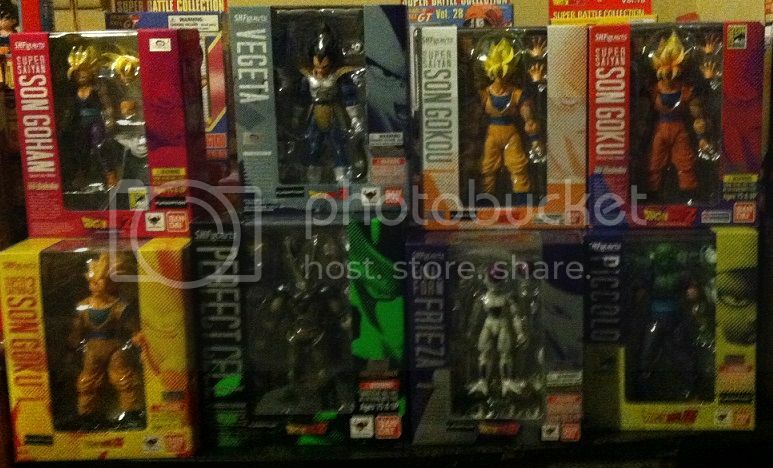 5) eventually i completed them, only figures i spent individually is the GMB, SBC 3 pack, the rare yellow hairs, and the SHF, and even then i only buy it if they are cheap, i set limits.....and i do the same with loose figures.